Clinical Nutrition takes an initiative to provide health practitioners an understanding of the vital role of nutrition in healing and well-being. Clinical Nutrition 2019 is aimed to provide a distinguished opportunity to the professionals in the field of nutrition and dietetics to discuss the latest research and challenges in the Clinical Nutrition field. Clinical Nutrition is designed to provide an exclusive platform for clinical nutritionists, registered dietitians, and other health-care professionals, researchers, and students working in the field to deliberately, exchange their views and experiences in front of a large international audience. Clinical Nutrition Conference welcomes Presidents, CEO’s, Nutritionists, Dietitians, Clinical Nutritionists, Nutritional scientists and researchers in nutrition & food sectors, Delegates and industry executives from nutritional and healthcare industries to participate in the interactive scientific-sessions, B2B meetings and panel discussions. The companies dealing with nutritional products and supplements can exhibit their products in the Nutrition exhibition and expo. Nutrition science is an amalgamation of science and healthcare, as is essentially the rest of the broad field of medicine. 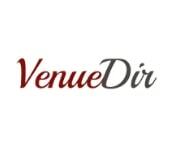 Both areas of endeavor have had their origins in curiosity, empirical observations, concepts, innovations, experimentations, philosophy, ideals, and the practical application or translation of newly acquired, accumulated, evaluated, and appraised knowledge and experience to Clinical Nutrition use. 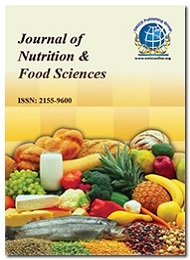 Moreover, this phenomenal increase in knowledge, technology, and expertise is likely to continue in the foreseeable future and to have a significant influence on the application of nutrition science to the practice of medicine, Clinical Nutrition, maintenance of health, and achievement of optimal Clinical Nutrition and human performance outcomes. 16th International Conference on Clinical Nutrition will focus on promoting awareness and help in tackling the chronic nutritional disorders and diseases and clinical malnutrition faced by mankind. Nutrition is both an art and a science: it observes, measures and tries to explain the constantly changing process of the optimal mix of chemicals necessary for the functioning of an individual at all stages of life. The science of nutrition is devoted to defining requirements for essential nutrients, amino acids, essential fatty acids, vitamins and trace elements. The intention of this session is to show how throughout history, communities have developed a dietary structure that made the most of local resources. 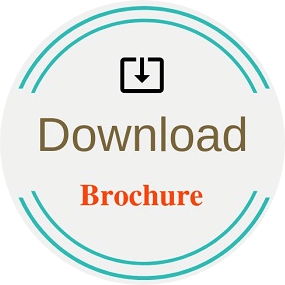 22nd World Congress on Nutrition and Food Sciences June 17-18, 2019 Brisbane, Australia | 30th International Conference on Nutraceuticals and Natural Medicine January 28-29, 2019 Osaka, Japan | Asia Nutritional Conference 2019 February 28-March 01, 2019 Osaka, Japan | International Conference on Clinical Nutrition March 04-06, 2019 Barcelona, Spain | 20th International Congress on Nutrition & Health March 28-30, 2019 Stockholm, Sweden | 30th World Congress on Nutrition & Food Sciences May 17-18, 2019 Osaka, Japan. Malnutrition and poor water and sanitation add to 23% of the hazard factors to the worldwide infections. Malnutrition is an underlying cause of 30% of child death, affects growth in 230 million children. Adequate nutrition cannot be assumed, just because there are no obvious clinical features of deficiency disease. Indeed, some degree of malnutrition has been identified in a significant proportion of the hospital populations of affluent countries. Good nutrition is essential for the good health of mother and infant. This session is designed to improve skills specifically in the area of nutrition assessment, and to build competence in obtaining and evaluating indicators of nutritional status within the pediatric and geriatric population which include biochemical, anthropometric, clinical, intake, psychosocial data and factors. · To update outdated growth charts and assessment techniques. · Analyze the diet and the biochemical indicators of a pediatric and geriatric patients. A diabetes diet is a good dieting plan that is normally rich in nutrients and low in fat and calories. Key components are natural products, vegetables and grains. Food, long recognized as a vector of infectious disease, is now seen to have a role in the etiology of non-infectious disease such as maturity-onset diabetes and obesity. The response to diet is a balance between age, smoking, weight, diabetic problems and the genetic makeup. Nutrition plays a vital role in the heart diseases and obesity. The burden of cardiovascular diseases is expected to rise due to the ageing population and the increasing prevalence of risk factors such as obesity. There is a relationship between cardiovascular disease risk and a variety of nutrients, foods and dietary patterns. Saturated fats and cholesterol in the diet increase levels of cholesterol in the blood, particularly low-density lipoprotein (LDL) cholesterol which is also known as bad cholesterol. This session deals with the advanced nutrition assessments and dietary patterns for patients suffering with cardiovascular diseases. Chronic diseases are long-term diseases which are not contagious and largely preventable. As chronic diseases are largely preventable, a strategy on diet, physical exercise and health is needed. Chronic diseases include obesity, diabetes, cardiovascular diseases, cancer, osteoporosis, and dental diseases etc. which are a growing burden for society. Nutrition and diet is believed to have a causative role in chronic diseases. The new approach is to avoid chronic diseases is to maximize health and improve quality of life, and to suggest guidelines for groups and individuals. Poor eating and physical activity patterns have a cumulative effect and have contributed to significant nutrition and physical activity-related health challenges that now face the population. Metabolism is the chemical process by which a body uses to transform the food into the fuel that keeps us alive. Nutrition (food) consists of proteins, carbohydrates, and fats. These substances are broken down by enzymes in the digestive system and then carried to the cells where they can be used as energy fuel. · A missing enzyme or vitamin. · Abnormal chemical reactions that hinder metabolic processes. 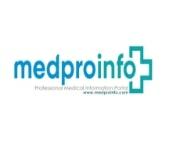 · A disease in the liver, pancreas, endocrine glands, or other organs which are involved in metabolism. Medical Nutrition Therapy is an evidence-based medical approach to treat certain chronic conditions using a tailored nutrition plan. Diet is an important part of everything we do in daily life. Food provides the fuel to our bodies and our minds to think clearly and execute daily tasks. Medical nutrition therapy can play a life-changing role in reducing complications associated with certain chronic conditions, such and Type 2 Diabetes and Chronic Kidney Disease (CKD). Nutritional Biochemistry manages different examinations in nutrients, food constituents and their capacity with respect to people and different warm-blooded animals. Nutritional biochemistry particularly centers around nutritional supplements, and how they work biochemically, physiologically, metabolically, and also their effect on illness. Nutritional Biochemistry takes a scientific approach to nutrition. It covers not just nutritional requirements but why they are required for human health, by describing their function at the cellular and molecular level. 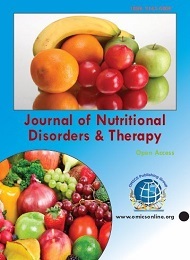 · Examine the role of nutrition in the etiology of disease. · Monitor the nutritional status of populations. 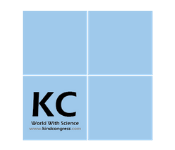 · Develop and evaluate interventions to achieve healthful eating patterns among populations. Advances in Clinal Nutrition responds to the growing demand for a prestigious, synthesizes, and explains the current state of knowledge in all facets of the field. In addition to explaining the significance of new research findings in clinical research, it will also highlight research gaps and future directions. This will keep better information in applying the latest findings and best practices to advance the research and clinical practice. Food Science is a multi-disciplinary field including science, organic chemistry, nourishment, microbiology, and engineering to give one the logical learning to tackle genuine issues related with the numerous aspects of the nutrition framework. The premise of the teach lies in a comprehension of the science of food components, for example, proteins, sugars, fats and water and the responses they experience amid preparing and capacity. Knowing what kind of diet works best for a human body type can help to manage weight more effectively. Appropriate food choices and portion sizes are required for an understanding of healthy eating habits. This session will lay a platform to express the latest food and nutrition charts which could replace the outdated food charts. Federation of European Nutrition Societies (FENS), Nutritional Society of Europe, ESNS European Sport Nutrition Society. A nutraceutical can be defined as any substance considered as a food, or its part which, in addition to its normal nutritional value provides health benefits including the prevention of disease or promotion of health. Nutraceuticals are organically active phytochemicals that might be conveyed to the purchaser as a dietary supplement or potentially as a functional food. Nutraceuticals are probably going to assume a fundamental part in human health and lifespan. The utilization of these items by most of the public is without a medical prescription or supervision. Nutrition is basic for healthy human life, prosperity, and improvement through the complete life range. Awesome prosperity is key to continue with a helpful life; Nutrition prompts a Healthy lifestyle. Nutrition is gradually worried about metabolic ways and processing framework, the solicitation of biochemical stages through which substances in living creatures change beginning with one then onto the following structure. 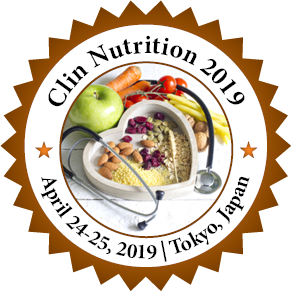 This Clin Nutrition 2019 is specially designed to discuss the aspects in the field of Clinical Nutrition and strategies to decrease Malnutrition throughout the world. 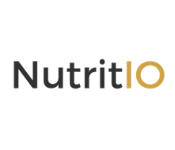 Dietitians, Nutritionists, Clinical nutritionists, Probiotics researchers, Nutrigenetics and Nutrigenomics researchers, Public Health Professionals, scholars and students working in the field of Clinical Nutrition, Food Science and Public Health. 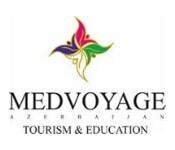 From Industrial sector, delegates and physicians are expected to attend the event. The interaction between undernutrition and infectious diseases can create a potentially lethal cycle of worsening illness and declining nutritional status. 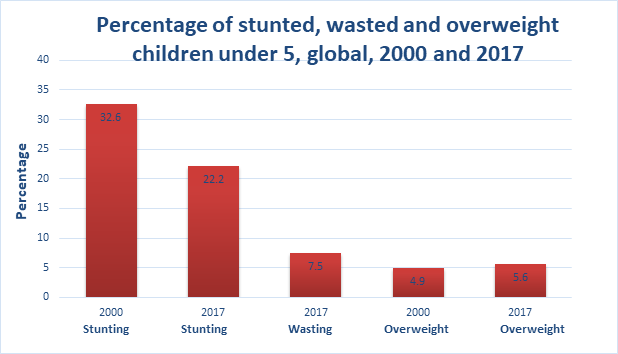 Poor nutrition in the first 1,000 days of a child’s life can lead to stunted growth, which in turn is associated with impaired cognitive ability and reduced performance in school and work. Clinical Nutrition 2018 played an important role in promoting multidisciplinary interactions between science and medicine to enhance research in Nutrition and Food Science. The program covered current and emerging research innovations in the field of Nutrition and Dietetics. We would specially thank, the Moderator of the Doris Jaalouk, Notre Dame University-Louaize, Lebanon for her contribution to the conference. We are obliged to the various delegates from companies and institutes who actively took part in the discussions. We sincerely thank the Organizing Committee Members and the Editorial Board of Clinical Nutrition 2018 for their gracious presence and continuous support throughout the proceedings of this event. With the valuable feedback and generous response received from the participants of the event, Conference Series LLC Ltd would like to announce the commencement of "16th International Conference on Clinical Nutrition" during April 24-25, 2019 at Tokyo, Japan.